So, recently I posed the question on Facebook, "What's your favorite kitchen gadget?" There were a variety of responses, but it seems that most people love them some Pampered Chef gadgetry! I'm with them. I have an arsenal of Pampered Chef products. I even have some still new, in the box. Obsession?!? What is your favorite kitchen gadget? I love my Pampered Chef Chopper. Amy Brower Smith My ninja! 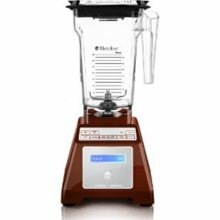 Tanya Mitschke My Blendtec, total blender! Jennifer Rich Kitchen Aid Stand Mixer!!!!! Penny Clark I'm a Pampered Chef consultant and the chopper is our #1 Seller!!!! If you want to try one, let me know!!! Try before you buy!!!! · 1 personThe RHOK likes this. Jennifer Stoll Barnard My Pampered Chef Deep Covered Baker aka "the Magic Pot". I do pork tenderloin in 10 minutes, fajitas in 17, frozen to cooked boneless skinless chicken breasts in 12 minutes, Molten Chocolate Lava Cake in 10 minutes, Mexican Chicken Lasagna in under 30 and much MUCH more! The RHOK Gotta admit I love my P.C. Chopper also and my potato peeler - but I really do miss my strawberry tool from there! What did he do w it? Oh and please remind me to put a new can opener on my BDay/Christmas List! Great topic if discussion Mrs. A! Michele Piontek Miljanic Apple peeler corer, which i also use for potatoes. Most of the gadgets mentioned I was familiar with. BUT, there were a few I had never heard about. So what's a housewife to do? I Googled, of course! The Rabbit Corkscrew - I need one of these. 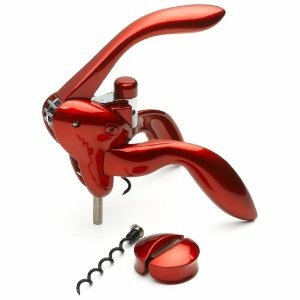 I do own the Pampered Chef corkscrew, but I'm unimpressed with it. This baby looks like it could pop a cork without hesitation! The Ninja - When I typed this in the Google search I quickly realized that I needed to be more specific. Ha! 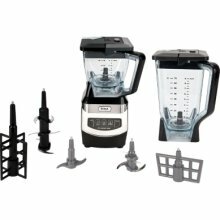 I'm in need of a new blender so this one and the next one piqued my interest. Can you tell that I like RED? All these red gadgets would look so pretty in my kitchen. As I stated, my favorite kitchen gadget is the Pampered Chef Chopper. I use it a lot. 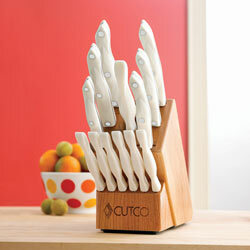 I also love my Cutco knives. Yes, yes, they are expensive, but oh, so worth the money. That is, if you should ever have extra money. I'm going to leave you with a recipe. It's a dandy. I used to make these a lot for parties, but hadn't in a few years until recently. Our cooking club theme in August was Breakfast. I made these, even though I usually bring them as an appetizer. They have bacon. Bacon is a breakfast staple, so I knew I couldn't go wrong. Everyone loved them! They are Bacon & Tomato Cups - a Pampered Chef recipe. Duh! Preheat oven to 375 degrees. Lightly grease a mini-muffin pan. In a skillet over medium heat, cook bacon until evenly brown (if you're not using the microwave). Drain on paper towels. Crumble bacon into a medium mixing bowl, and mix with tomato, onion, cheese, mayonnaise and basil. Separate biscuits into thirds (separating into three layers). Place each third into cups of the prepared mini-muffin pan and press down the centers. Fill each biscuit with the bacon mixture. Bake for 10 to 12 minutes or until golden brown. Garnish with diced green onion. 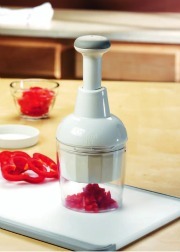 What is your favorite kitchen gadget? We housewives want to know.